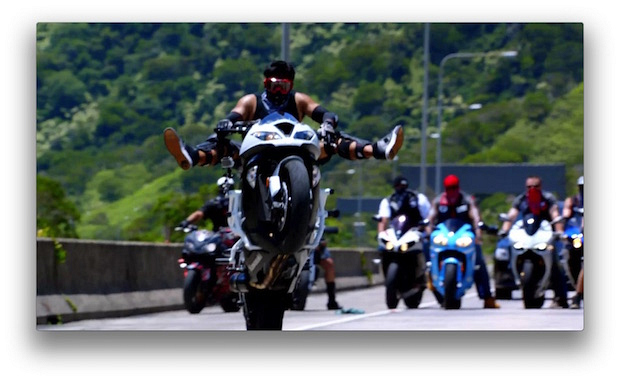 6 Behind-The-Scenes Facts From "Ka 'Alapahi Nui"
The show closed down a 10-mile stretch of H3 to film the episode's Road Warrior and motorcycle chase stunts, all in a single day. Jeff Cadiente, Five-0's stunt coordinator, said that "Ka'alapahu nui" was one of the biggest action episodes of the series. Click through the gallery for more behind-the-scenes photos and facts about Hawaii Five-0's ​“Ka 'Alapahi Nui (Big Lie)” (Season 6, Episode 5).